D. D. Cox, of Kansas City, MO, passed away April 7, 2019, at age 98. He is survived by his wife of 71 years, Patricia: His children; Pamela Johnson, Steven Cox, Christopher Cox, Martin Cox, and Jennifer Harris-Bassett: 8 grandchildren, 7 great-grandchildren, his sister, Susie Snyder, 3 nieces: and dear friend Mary Tarwaters. D,D, was born in Pomona, MO. His goal was to become a Physician/Surgeon like his father. As a child, he would travel around southwest MO with his father, assisting him with providing medical treatment. His father carried a Colt 45 strapped to one side of his waist, and a flask of whiskey to the other. He trained D.D. at a very early age - how to use both. As a result, D.D. became an expert shot, and enjoyed a good scotch. He attended the University at Southwest MO State and University of Oregon Medical Program. 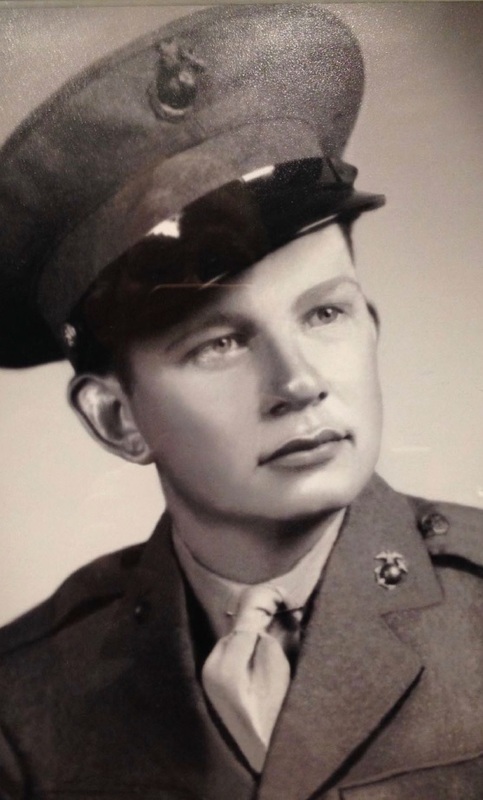 Because of the escalating war (WWII) he left school to join the Marine Corps in 1942 and served in the Pacific Theater with the 2nd Battalion 8th Marines, Division Intelligence. His specialties included Expert Pistol and Rifle Marksman, and Field Artillery Fire Control. Some of his major campaigns included The Battles of Guadalcanal, Tarawa, Saipan, Tinian, and Okinawa. He was distinguished for an act of heroism during the Saipan campaign for rescuing fellow Marines from an exploding ammo dump that the opposing forces had bombed, where he suffered personal injury. He was honorably discharged with distinguished service from the Marine Corps in October, 1945. He married his wife Patricia in 1947, and they raised five children. He owned a residential construction company, sold real estate for many years, and had a full and interesting life. He was an avid tennis player and played in his 80’s until he sustained an injury from an automobile incident. He loved football, baseball, basketball, children all animals, and had a soft spot for dogs. The family also wishes to express their gratitude and love to Mary and all those who were involved in his caretaking as D.D.’s health declined including Carondelet Place and Ascend Hospice. Additionally, many thanks to Park Lawn Funeral Home, especially Hank, Rick, Jenny. A service will be held at Park Lawn Funeral Home, 8251 Hillcrest Road, Kansas City, MO 64138, Monday, April 15 at 1:00 PM. I met D.D. when he first came to the long-care facility he was recently at. He was a nice and humorous gentleman and I enjoyed being around him. My husband, Jeff, enjoyed speaking with him when we came up. We are very sorry for your loss and will be praying for the family and friends.